When a dealer wants to opt for Composition Scheme under GST, they have to intimate the government about it. This can be done by filing Form GST CMP-01 or Form GST CMP-02. 31st March 2019 is the deadline to file the intimation in Form GST CMP-02 to opt into composition scheme for the FY 2019-20. Also, furnish a statement in form ITC-03 within 180 days of commencement of the FY 2019-20 to declare the ITC claim that has to be reversed on inputs/capital goods in stock, in semi-finished or in finished goods. CMP-01 is a form to be filed by a migrated taxpayer who wants to opt for Composition Scheme. The due date for this was 1st August 2017 (1 month from July 2017). If CMP-02 is filed in the middle of the financial year, the rules of the scheme are applicable from the month immediately succeeding the month in which CMP-02 is filed. A taxpayer files CMP-02 in the month of December 2017. This means that the rules of the Composition Scheme will be applicable from January 2018. Both CMP-01 and CMP-02are required to be filed online on the GST Portal/ GSTN and the process to file is the same. Step 2 – Go to ‘Services’ > ‘Registration’ > ‘Application to Opt for composition Levy’. ‘Verification’ carefully and tick on the checkbox. Choose the ‘Name of Authorized Signatory’ from the drop-down. Also, type the ‘Place’ and click on ‘SAVE’. Step 4 – If you are a Company or an LLP you can only submit the application with DSC. Any other registrant can use any of the three methods to submit the return. Step 5 – A pop up will open containing the warning. Click on ‘PROCEED’ here. Once the application is submitted a success message is displayed. Also, an acknowledgment is sent to your registered email id and mobile. 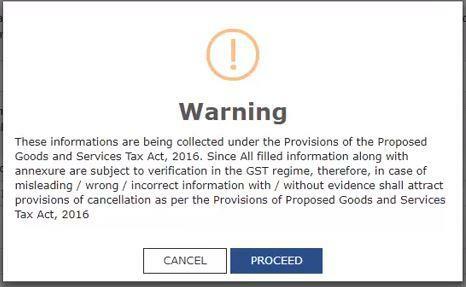 After filing this form a Composition Dealer has to file GST CMP-03 within 90 days. 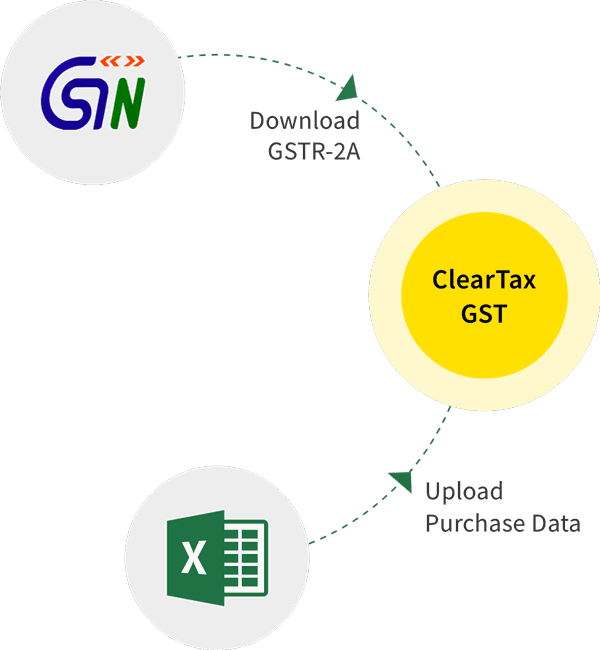 Check out our Guide to File CMP-03 on GST Portal.